The Cavern Club opened its doors in 1957 as a jazz club and now stands as ‘The Most Famous Club In The World”. Undoubtedly, without the 292 gigs The Beatles played here between February 1961 and August 1963, the Cavern’s story would be a very different one. But they did play those 292 gigs and the Cavern was firmly on the world’s musical map. From this period, other artists exploded on to the musical scene; Gerry & the Pacemakers, The Searchers, The Hollies, Billy J Kramer, Cilla Black and many more. Everyone wanted to play this iconic venue, and they did; Rolling Stones, The Who, The Kinks, Elton John, Stevie Wonder, Ben E King, Rod Stewart, Status Quo, Chuck Berry, Bo Diddley, Queen and many more. The Cavern has always reflected the current musical trends, embracing along the way, Blues, Soul, Rock, Indie. A true music venue. 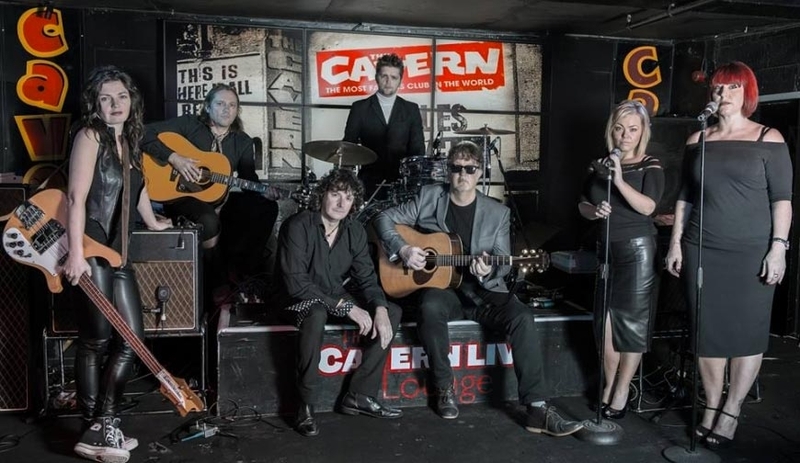 Today the Cavern is a thriving live music venue, still attracting the big names. Artists to have played here in recent years include; Oasis, Travis, Arctic Monkeys, Adele, Jessie J, Jake Bugg and of course, in 1999, the return of Sir Paul McCartney. This specially commissioned show is presented by Cavern resident artist, Tony Skeggs, and his fantastic band and will take you on a musical history tour of the most famous club in the world. Tony was a founding member of THE OVERTURES, the U.K’s premiere 60’s band.